Walking, we do it everyday but to really enjoy walking you need to get yourself into the countryside. 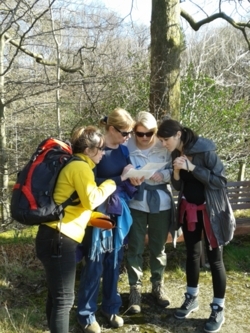 Whether its a low level walk or a high mountain walk we have something to suit you. We can arrange a great walk visiting cafe's or pubs along the way. If your looking for something really challenging we can guide you to the top of some of the biggest summits and peaks in England, Scotland or Wales. know of many fantastic walks for all levels of ability. So why not let us guide you! For a walk with a difference why not choose a night walk, it's an ideal option for a school trip or even a stag or hen party. To view some of our walking pictures please click here walks and walking images.